Main protagonist of Watamote. She's 15 years old and socially awkward, nonetheless she wants to have friends and even a boyfriend. 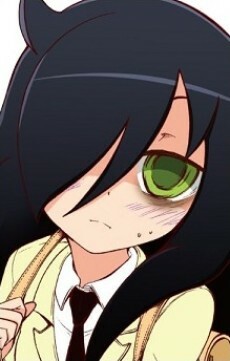 Unfortunately, her appearance, shyness and lack of experience in communicating with everyone but her own family don't really help Tomoko make things better. She finds entering high school as an opportunity to change her life and make a lot of friends, so she keeps trying to do everything to gain attention of her new classmates.